Christmas gift idea for women under £10? Looking for an affordable Christmas gift idea for women under £10? Every year it is the same dilemma. Finding a Christmas gift idea for women under £10 that doesn't look like a cheap £10 gift. There are a million ideas on the web. Use design sites or browse through your local discount stores. If you are crafty, you might want to make something for under £10. Maybe a nice knitted scarf or maybe if you want to be cute some home made macaroons. Use your imagination. Most ladies love chocolates, and a box full would be awesome but a bit impersonal. If you are not in the mood for funny gifts go for useful gifts: what about a manicure set or maybe a Boots voucher? One of the most practical gifts under £10 is a handbag hook. Use it to keep your handbag in sight and by your side. Hook your handbag to the hanger, place the disk on the edge of the table and your handbag is now safe and secure. 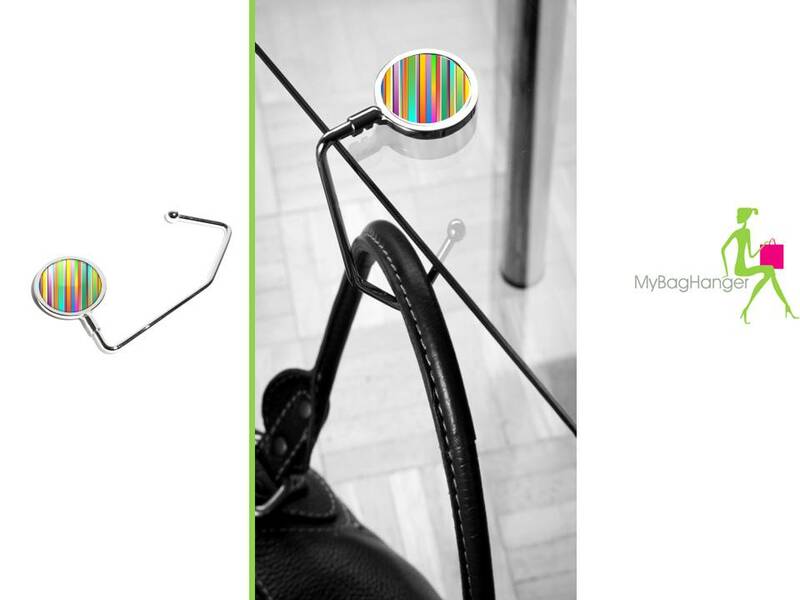 My Bag Hanger offers are four styles of handbag hooks. Starting at £9.99 the foldable handbag hooks. If you want something a little more chic, rhinestones handbag hooks start at £12.99 and are the perfect stocking filler or Christmas gift. There is also the fashion collection of simple handbag hooks that begin at £6.99. At this price, you should purchase several for the ladies on the office. There are perfect Christmas gifts for women under £10.